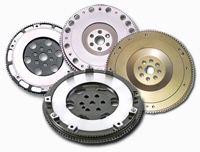 Are hardworking clutches which take a lot off abuse. They are also in most cases very expensive. We can rebuild the PTO by replacing only what is needed therefore saving our customers a considerable amount of money. Water pumps for older vehicles, discontinued or obsolete vehicles, and machinery are not a problem. Antique and classic cars are also available. 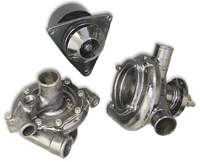 All water pumps are built to OEM specifications with a new bearing, seal and gaskets. From Allis Chalmers to Waukesha and everything in between HR can handle your water pump needs. 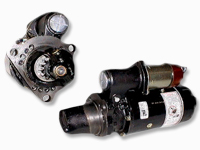 Heavy duty Starters and Alternators are available and in stock for trucks and cars . We can upgrade your alternator by increasing the amperage to power all your electrical components. All starters and alternators are backed by a 6 month warranty and are built to OEM specifications. We resurface and balance standard flywheels. We can also remove broken bolts and heli-coil if necessary .We can in most cases rebuild dual mass flywheels especially those in Ford Super Duty 7.3L diesel. However we recommend changing the clutch kit and flywheel to the retrofit which includes a standard flywheel. We can replace steel inserts in aluminum flywheels and customize an insert for a new aluminum flywheel. Flywheel starter gears are installed and welded if necessary. All work is done on site. We also reline brake shoes and brake bands. We carry rolled friction material in molded and premium grades. We rebuild boat isolator dampeners and also have manual style flywheels for boats as well. HR provides an invaluable service for the following reason. 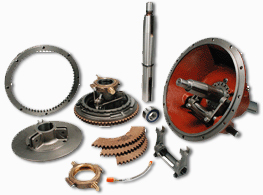 There are times when you only need a component part of a clutch system due to damage before or during installation. We can repair the clutch component instead of having to buy a whole new kit. This is greatly appreciated by our customers and their bottom line. We have been called lifesavers occasionally.